When I was young, it was very common for any other kid to call me “banana”. Where I’m from, the north of Portugal, it is very common to tell someone they’re a banana if you want to offend them. Why? Why do we do that? Where did it come from? Why do they call me banana, and no pear? Why I am called a banana and not an orange? My intention for this blog post is to try to unravel this mystery, of why we call each other bananas; I also want to uncover something that we have only discovered recently. “What’s that,” you ask? Good question. What If I tell you that at Angry Ventures, we are bananas? What if I tell you that a human is not so different from a banana? What if I tell you that there is a kind of magic formula for eating bananas and that it can help us to transform the way we observe, think and perceive? As my first piece of evidence, I suggest we take a look at a scientific fact. When we don’t want anyone to challenge what we are saying, what do we use as a justification? We use the cliché, “It is scientifically proven”, right? – A.K.A. You cannot challenge this because we paid a lab to tell us that it was scientifically proven. That’s what I did. 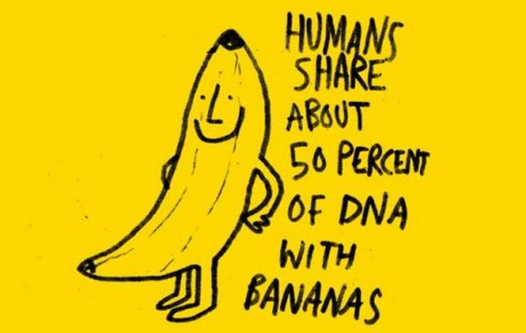 The scientific fact that we bring as a first piece of evidence is that it was discovered that humans share over 50% of their DNA with bananas. Many of the “housekeeping” genes that are necessary for basic cellular function, such as for replicating DNA, controlling the cell cycle, and helping cells divide are shared between many plants (including bananas) and animals. This first evidence can bring assertiveness and credibility to the content in my blog post that says we are in fact bananas, correct? No. I believe that our minds still have a hard time believing that we are that similar to bananas. We need more evidence. 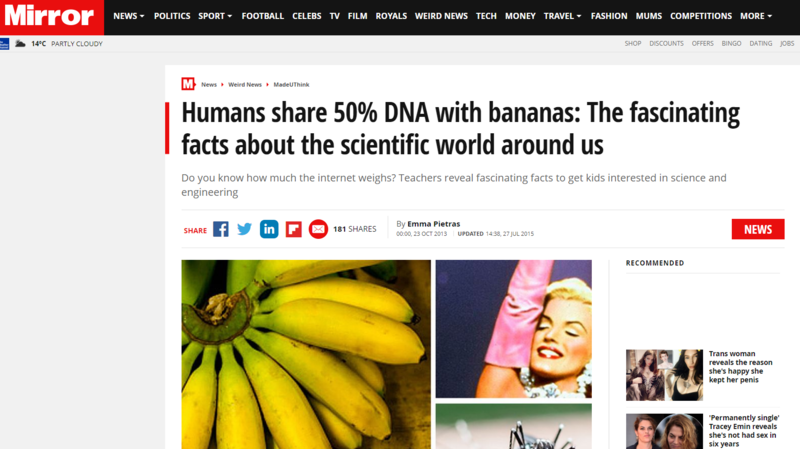 I suggest we begin to analyze the second piece of evidence through a video that we discovered online, by Anne Warfield, about the science behind the action of eating a banana. What Anne Warfield features in her video is the question of why we open a banana the way that we do. As she points out, by repetition. By imitation. We always observe other people opening the banana this way, and we copied it. We received this teaching by imitation. 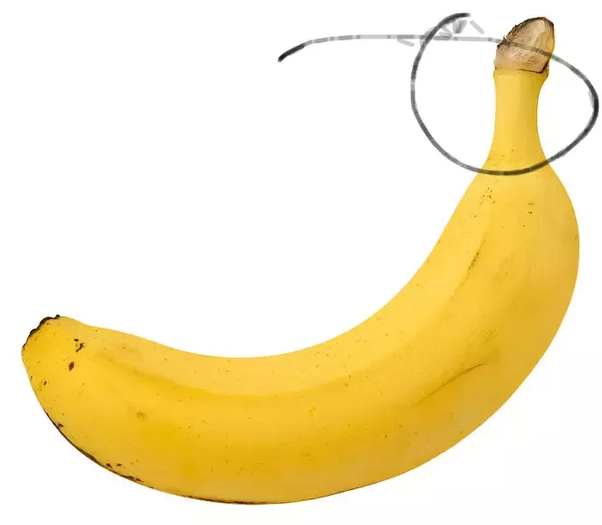 But what if there was another way to peel the banana – would you like to learn about it? I did. What if, in fact, everything we do is done by imitation? All of our habits – learned from the people around us. What if there is a different way of doing things? Should we not have the ability and skills to always be questioning them? 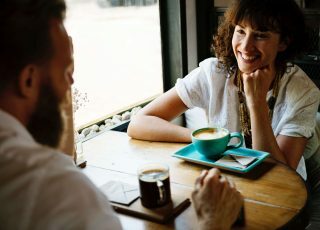 I would say, more than the core business where Angry Ventures is – what really is the essence of the organization is the ability to put things into question. Therefore, as my second piece of evidence I suggest that we have been programmed with a set of beliefs and we model our lives according to what we see, imitating it. The same thing happens with bananas. Everyone, from the outside to the inside, tries to model the banana that we are by trying to “open ourselves up” in the wrong way. 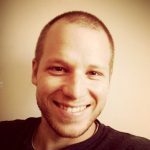 Do we have another way of “opening up”? That is what I will try to suggest with the ultimate and final piece of evidence. 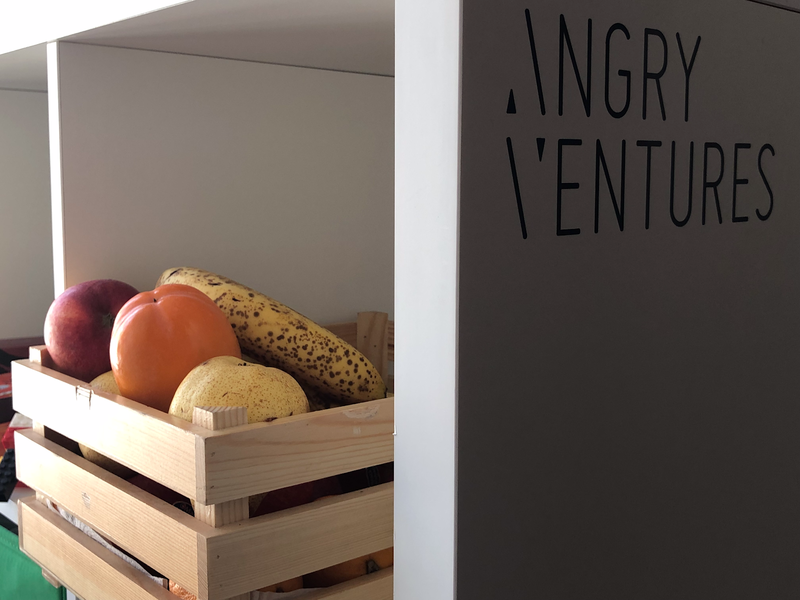 What I want to show in this evidence is that – for starters – at Angry Ventures, the first type of fruit that we run out of are always bananas. What about your house? Your office? Think about it. There is a high probability that the first type of fruit that you run out of are bananas. 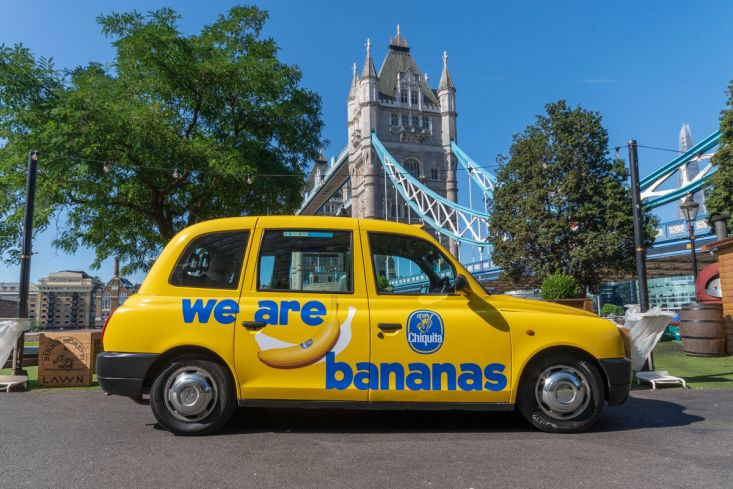 We’ve come to think of it as the Banana Angry Principle: bananas always go first, oranges last. It is not about the fruit itself. A psychologist might say it’s about human nature; a designer might say it’s about usability. 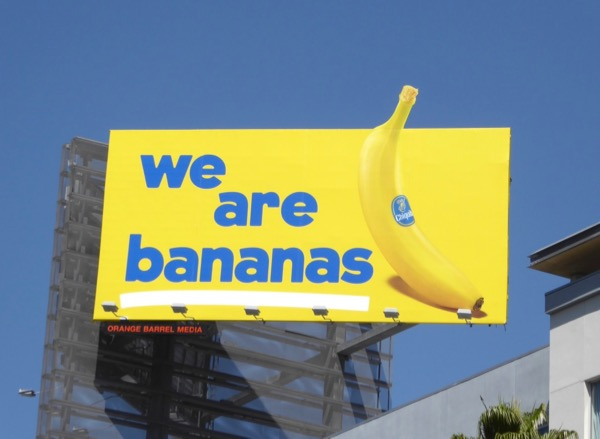 And in this way, we came to the conclusion that at Angry Ventures, We are bananas. Why? Like Bananas, we always go first. Why this blog post? 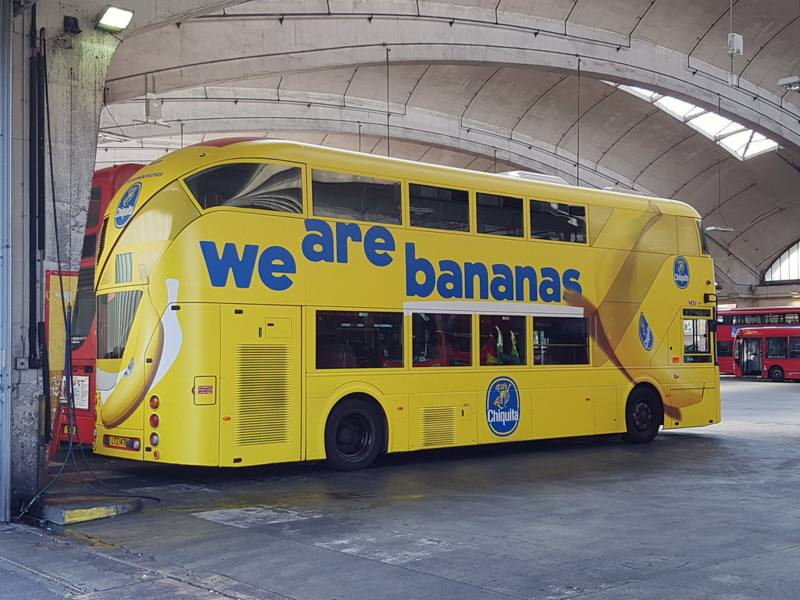 Eventually, because you got a banana – and you still have not figured out why. There you go. Just to say that at Angry Ventures we always go first. Stay Angry.